Tan spots on corn leaves might mean that your crop is suffering from southern corn leaf blight. This devastating disease can ruin the season’s harvest. Find out if your corn is at risk and what to do about it in this article. 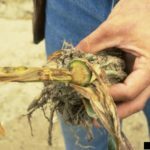 What is Southern Corn Leaf Blight? In 1970, 80 to 85 percent of the corn grown in the U.S. was of the same variety. 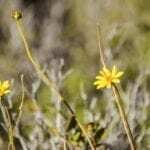 Without any biodiversity, it is easy for a fungus to move in and wipe out a crop, and that is exactly what happened. In some areas, the loss was estimated at 100 percent, and it amounted to a monetary loss of around a billion dollars. 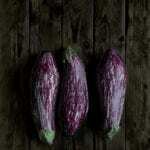 Lesions between the veins in the leaves that are up to an inch long and one-quarter inch wide. Lesions that vary in color but are usually tan and oblong or spindle-shaped. Damage that begins with the lower leaves, working its way up the plant. 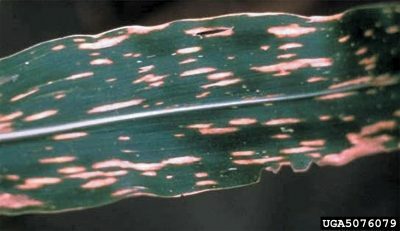 Southern corn leaf blight, caused by the fungus Bipolaris maydis, occurs around the world, but it does the most damage in warm, humid climates such as the Southeastern U.S. Leaf blights in northern and western climates are caused by different fungi. Even so, the symptoms and treatments described for the control of southern corn leaf blight may be similar to other leaf blights. There is no way to save a crop that has the southern leaf blight fungus, but there are a few things you can do to save future crops. 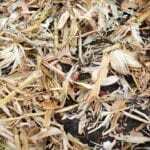 The fungus overwinters in the debris left in the corn field, so clean up the corn stalks and leaves at the end of the season and till the soil thoroughly and often to help the roots and underground stems break down. Crop rotation goes a long way toward helping to prevent the disease. Wait four years after growing corn in an area before planting corn in that same area again. Meanwhile, you can grow other vegetable crops in the plot. When you plant corn again, choose a variety resistant to southern corn leaf blight (SLB).